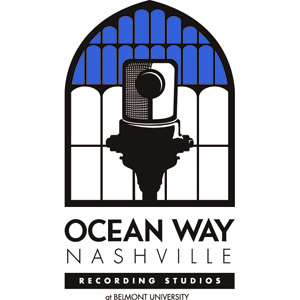 Ocean Way Nashville Recording Studios is located in the heart of Nashville's famed Music Row. Housed in a 100-year-old Gothic revival greystone church, Ocean Way Nashville provides exceptional acoustical spaces, tuned specifically for music recording, in a beautiful church. The friendly staff excel at providing the best possible recording experience, with both an artist-friendly attitude and technical excellence. Nashville is one of the world's premiere recording destinations. The Tennessee capital is home to some of the world's top talent (engineers, musicians, writers, producers etc). Due to the heavy concentration of recording studios, available equipment rentals are limitless from the many vendors located within 15 minutes of the studio. Founded in 1996 by legendary studio owners Allen Sides and Gary Belz, the studio was purchased from the founders in 2001 by Belmont University. Ocean Way Nashville remains a fully commercial facility, but has added an educational component in conjunction with the school's College of Entertainment and Music Business. The recording facility's client roster reads like a who's who of the music world, spanning a range of styles from pop-rock to country to classical. Ocean Way Nashville has become one of the favourite destinations in the eastern US for recording strings and orchestral projects including video game and film scores, trailers, pageants, chamber orchestras, quartets and sweetening on countless hit records. Groups as large as 82 have recorded in the space.